Exciting news! The third installment of our ongoing Holidays With Jane collections is OUT NOW! In the past two collections I tackled Pride and Prejudice and Mansfield Park. But this time around I got to adapt my very favorite Jane Austen novel: Persuasion. The ebook is out now and the paperback will follow shortly! Keep your eyes peeled here and follow me on Twitter and Facebook to make sure you get all the news and info about contests to win special Holidays With Jane prizes. 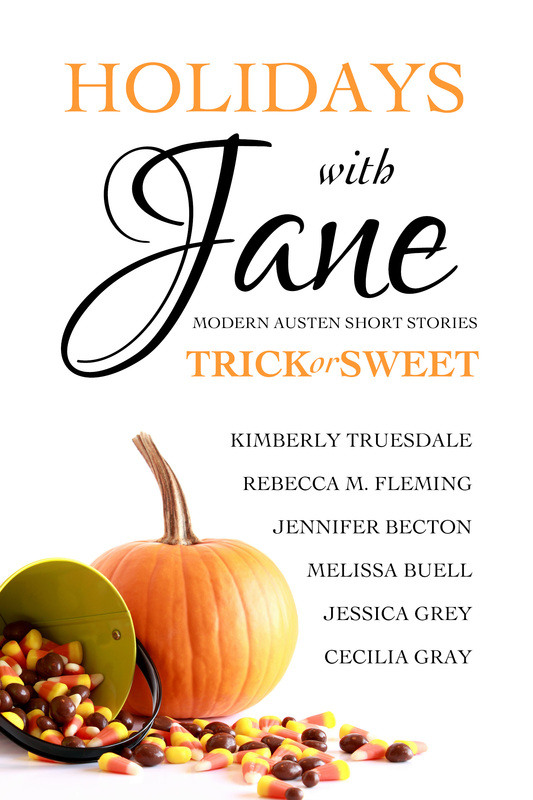 Get your copy of Holidays With Jane: Trick or Sweet here. And tell me, what’s your favorite thing about Halloween? Congrats on this third ‘Holidays with Jane’ book!! Thanks, Candy! Enjoy the cooler weather! The cover of the book is eye-catching! I like it! I love seeing the excitement of the little ones and seeing them all dressed up. The time of year is also a big plus for me as I fall weather is so nice after a hot summer.